We hope everyone had a FANTASTIC Thanksgiving!! We are BACK in the office after a LONG getaway! Tony and I headed out to Portland and Napa to celebrate our first anniversary as a married couple this month. We still can not believe that a year has already flown by! Although we were, of course, enjoying ourselves, we just COULDN’T pass up the opportunity to photograph Vitaliya and Daniil’s Napa Valley vineyard anniversary session!! I mean, talk about a bucket list item for us! Vitaliya and Daniil live about an hour and a half away from Napa, so we were ecstatic when they said that they would meet us at V. Sattui Vineyards! This vineyard… was a dream! It even had a deli/market that you can purchase local cheeses, meats, wine… essentially all things that you would ever need if you are wine lovers like we are! It also provided the PERFECT backdrop for these two adorable lovebirds! They are celebrating four years of marriage this year and are STILL in the honeymoon phase! Total marriage role models! 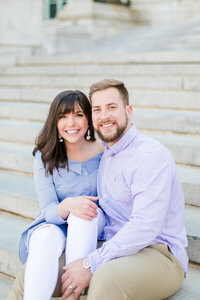 Check out our favorites from their session! To see other destination anniversary sessions, browse the links below!